General Admission is $5 for age 13 and over. Visitors 12 and under are free. Tours must be arranged in advance. Wednesday Through Sunday 1:00-4:00 pm. Closed on these holidays: Easter, Mother’s Day, Memorial Day, Father’s Day, July 4, Labor Day, Thanksgiving, Christmas Eve p.m., Christmas Day, Dec. 24 & Dec. 26, New Year’s Eve Day and New Year’s Day. 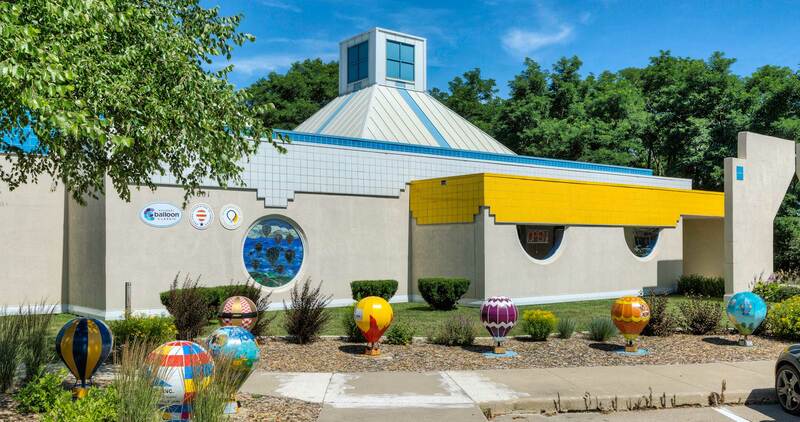 The National Balloon Museum is located Indianola, Iowa which is 12 miles south of Des Moines, Iowa on US Highway 65/69 and 12 miles east of Interstate Highway 35 on Iowa Highway 92. The museum is at 1601 North Jefferson Way (Highway 65/69) on the north edge of the city.